Congratulations to the State Swimmers! Boys Varsity Swimming & Diving and Diving · Feb 24 Sartell Boys Swimming and Diving Finish 2nd at 5 A section meet. 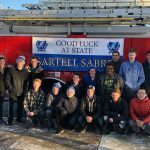 Boys Varsity Swimming & Diving and Diving · Feb 23 Varstiy boys swimming and diving were stellar on day one of section 5A championship. Boys Varsity Swimming & Diving and Diving · Feb 1 The boys swimming and diving team was defeated by Alexandria 98-87. 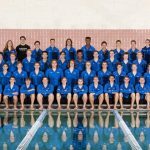 Boys Varsity Swimming & Diving and Diving · Jan 25 The boys swimming and diving team defeated Brainerd 97-89. Boys Varsity Swimming & Diving and Diving · Jan 16 The boys swimming and diving team defeated a talented Sauk Rapids team 118-68.